The new OnePlus 6T smartphone is now available to buy, we have already seen a number of videos of the handset and now we have another one. In the video from JerryRigEverything, we get to see Zack turn his new OnePlus 6T smartphone into a transparent device. 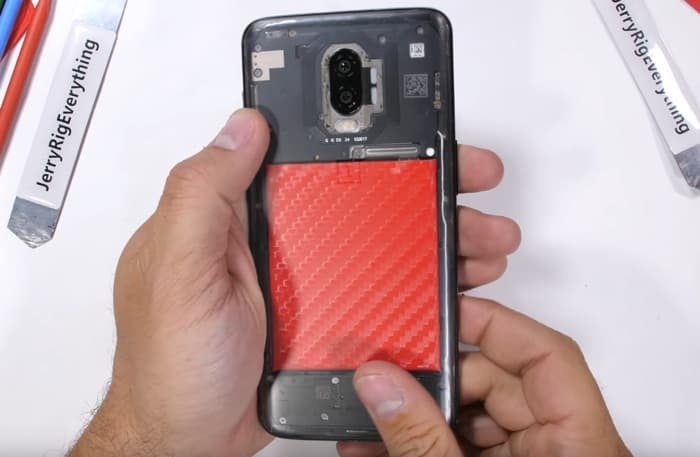 As we can see from the video the transparent version of the handset looks pretty cool, although you may not want to try this at home as it will probably invalidate your warranty. As a reminder the OnePlus 6T comes with a 6.41 inch display that features a FHD+ resolution of 2280 x 1080 pixels. The handset comes with a Snapdragon 845 and a choice of 6GB or 8GB of RAM, it also comes with a choice of 128GB or 256GB of storage. The handset comes with high end cameras and it features a 16 megapixel front camera plus dual rear cameras. The dual cameras feature one 16 megapixel sensor and one 20 megapixel sensor.